Regional Cakeathon S: Selkirk Bannock - Food, Drink, Photography, and other things. I had some spare bread dough left over after making pizza and I was trying to think of something to do with it. I noticed that I had this in my list of cakes to make so I adapted the recipe from Good Food magazine to make my own version. I took the dough and kneaded in the butter and brown sugar. When that was smoothly mixed in I kneaded in the fruit, a bit at a time. After leaving it to rise, I baked it at gas mark 4 for nearly an hour. My version didn't seem to have as much fruit as the original but since I was adding the fruit gradually, I put in as much as I could until it started to fall out when I kneaded the dough. 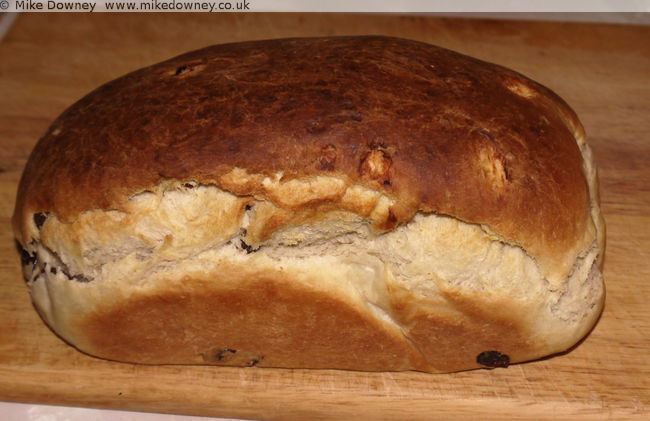 Quite a lot of the recipes I have done recently seem to be variations on fruit bread. 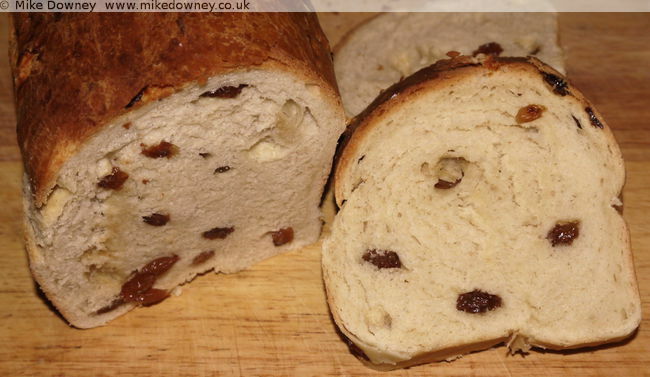 Since the oldest recipes pre-date baking powder, a yeasted dough was probably the easiest way of making a cake and this type of recipe seems to work well when combined with fruit and spices.